ROTATING MOON IN OUTER SPACE. 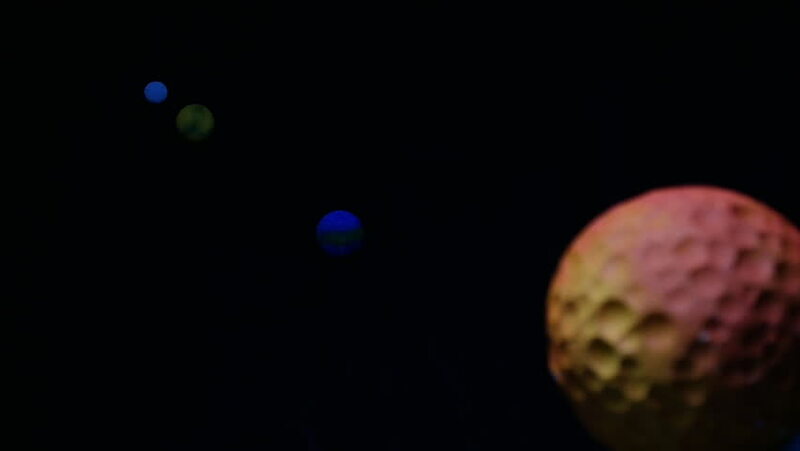 A COLORFUL MODEL ROTATES IN THE FOREGROUND WITH THREE SMALLER PLANETS IN THE BACKGROUND. 4k00:10Slow motion vertical fire explosion for use with visual effects compositing and/or texturing. Large fireball. hd00:12circuit board sphere jumps from left to right on a black background with copy space for your technological inscription. electronics conceptual animation.